Written by Ricci Shryock, a writer and photographer based in Dakar, Senegal. 24 year-old Dieynaba Sidibe is Senegal’s first female graffiti artist. 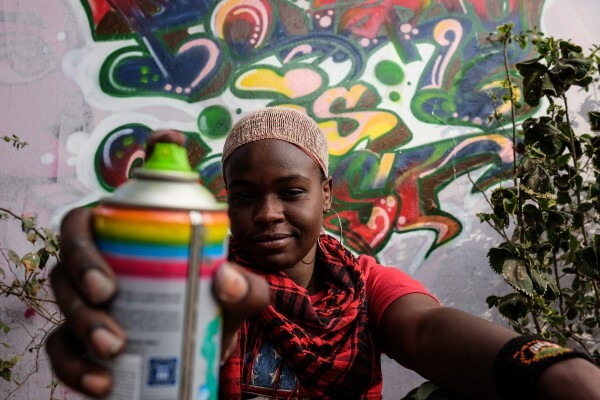 As she prepares for Festigraff, a 10-day international graffiti festival in her hometown Dakar, she recalls her teenage years when she first told her parents that she wanted to be a graffiti artist. “It was war,” she says. From a young age, Dieynaba loved painting and used her pocket money to buy art supplies. So she was dismayed to come home one day to find that her mother had thrown out all her paints. 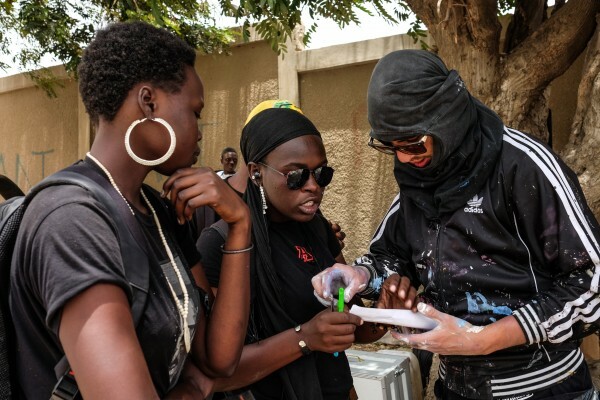 At Senegal’s Festigraff festival, Dieynaba helps organise artists from all over Africa, Europe and the US to paint murals in a suburb of Dakar, Senegal. Photo: Ricci Shryock/ONE. 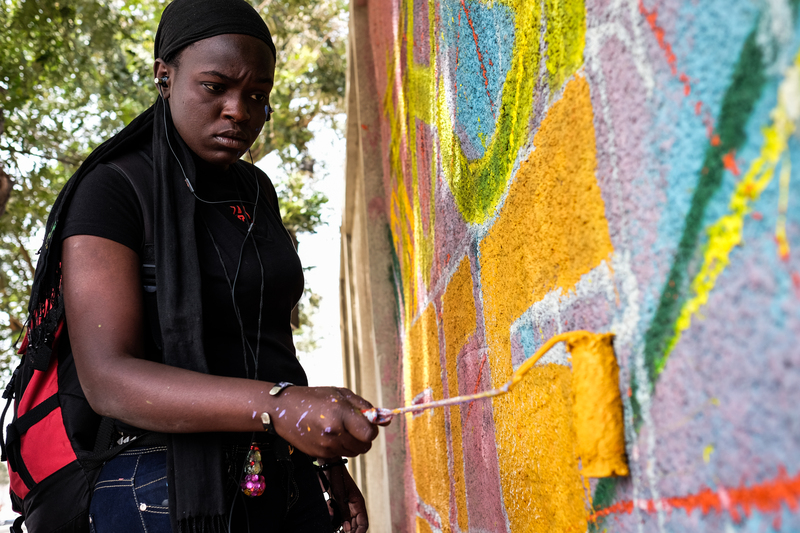 In West Africa, graffiti is an art-form frequently used as a tool of expression for social change. Dieynaba, whose artist name is ‘Zienixx’, uses it to promote women’s rights, despite her parents having forbidden her from practising graffiti art. 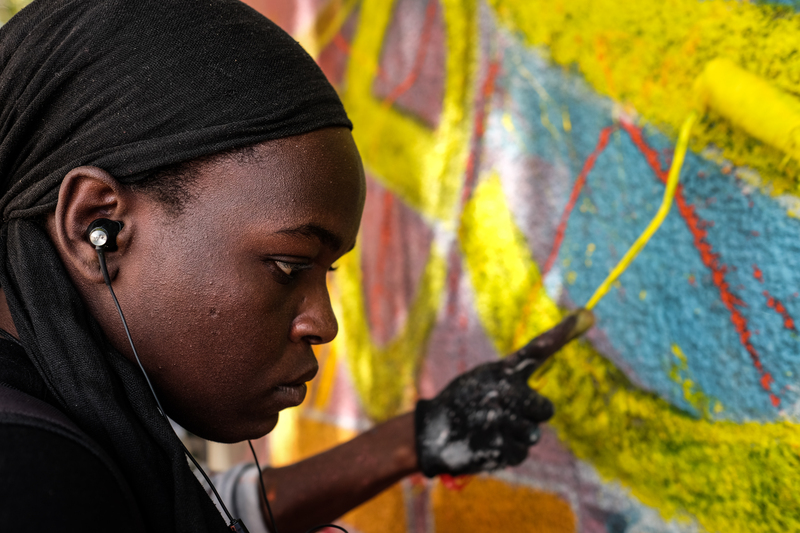 She said graffiti can help convey a message and pointed towards a recent piece of hers with just two simple words: “Woman’s Life”. 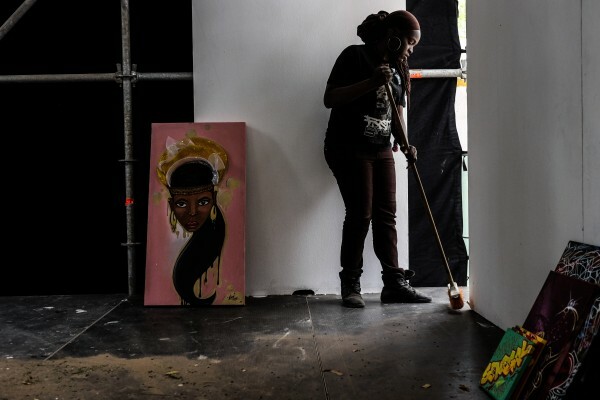 Dieynaba sweeps an open gallery space at the Douta Seck Cultural House in Dakar, Senegal to help prepare for the official opening of Festigraff. Photo: Ricci Shryock/ONE. 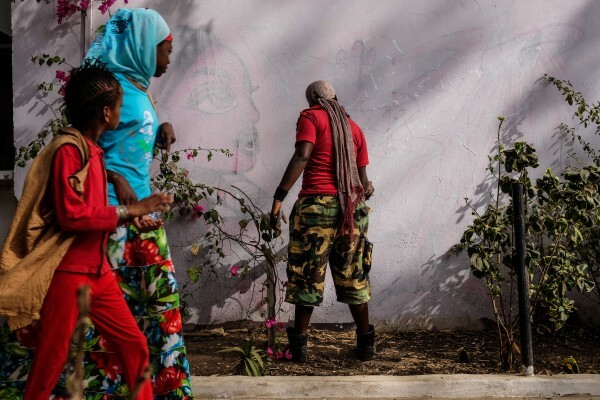 “With graffiti she can show the role of women in society. If it’s coming from a woman it’s even stronger. Usually people don’t pay attention to issues. But when you walk in front of her graffiti it calls on people to think about these things,” he says. 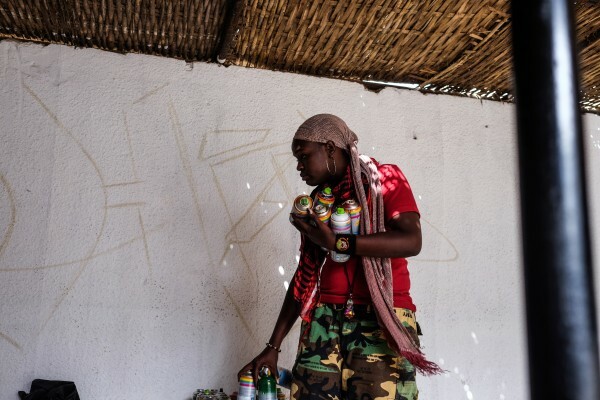 Dieynaba Sidibe ‘bombs’ a wall at the Africulturban Centre in Pikine. Photo: Ricci Shryock/ONE. 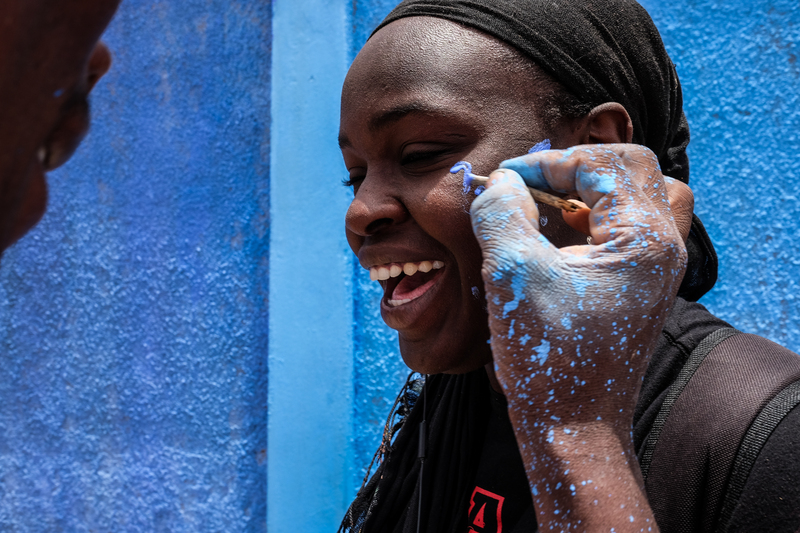 Dieynaba reflects on the battle she won with her family – who now support her graffiti – and the battle women in Senegal have won for their rights when it comes to access to education and more. 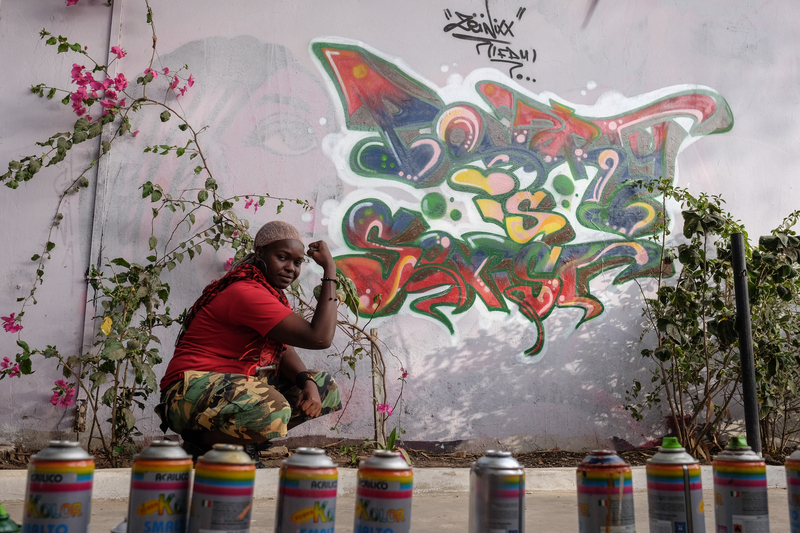 Dieynaba Sidibe strikes a #strengthie pose next to her artwork of our “Poverty is Sexist” slogan at a hip-hop artists’ centre in Dakar, Senegal. Photo: Ricci Shryock/ONE. We won’t end extreme poverty until we break down the barriers holding girls and women back. Add your name to our #PovertyIsSexist letter now.